The 4 year old will be thrilled at the mere thought of going to the ballet with her older cousins and their friend... and NO BABY ANA. She will be a chatterbox the whole way to the ballet... especially asking "are we there yet?" It would be helpful to read the story BEFORE seeing the ballet. Otherwise they feel the need to ask 90 gazillion questions in a full volume whisper. (who are those children? who is that man? why are they at a party? 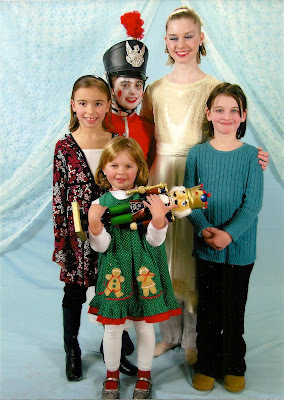 why did she get that nutcracker? why did that boy stomp on that nutcracker? why is the party over? why is that nutcracker big now? why is that nutcracker a prince now? what do you mean the girl is dreaming? why are those rats there? why is that light flashing while those rats fight? and on and on and on). You should not be surprised when the 4 year old loudly says "Mommy, that man is nudie!" when the dancer doing the Arabian dance of the Coffee happens to be shirtless. The child will ask if the ballet is over at intermission and insist that it should be over. The child will want an overpriced box of raisinettes at intermission because she will refuse to remember or accept that she doesn't like raisins. You will HAVE to eat a very large box of raisinettes... because they were overpriced... and can't be wasted. The 4 year old will probably almost fall asleep during the 2nd half of the show since it is after bedtime. When the show is over she will want to know why they are done dancing... and when she gets to see it again. 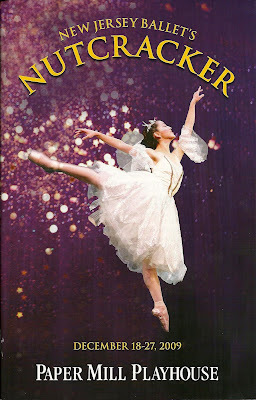 The 4 year old will be over the moon with excitement at being able to say "I GOT TO HOLD THE ACTUAL REAL NUTCRACKER!"